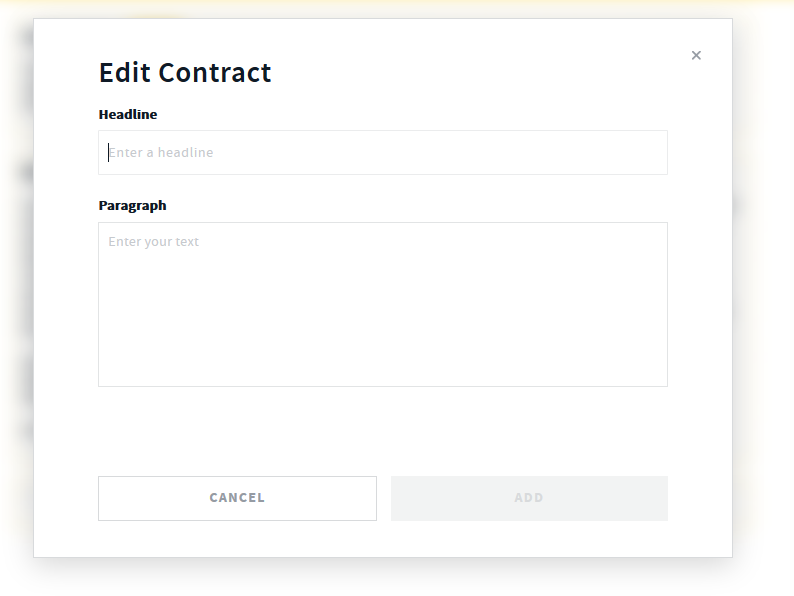 AND CO PRO Paid plan unlocks the ability to edit contracts, add custom fields and sections, change text, remove and hide fields as well as settings. 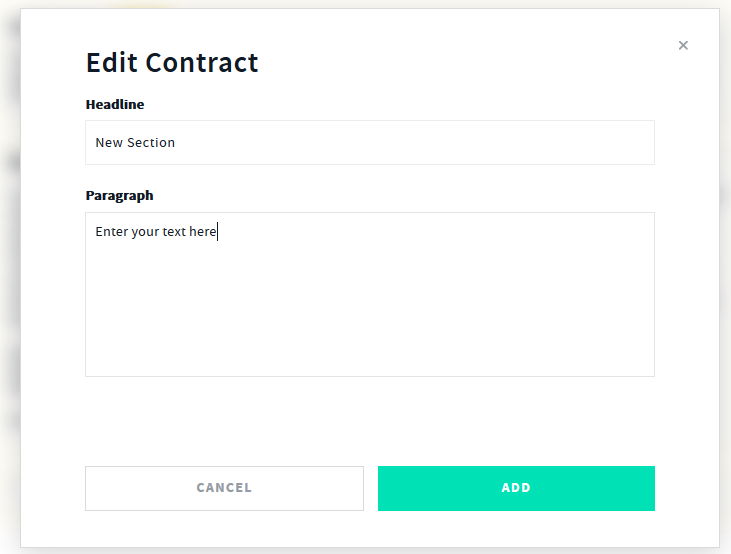 Once you have selected to edit a section, make your edits and select save/update. 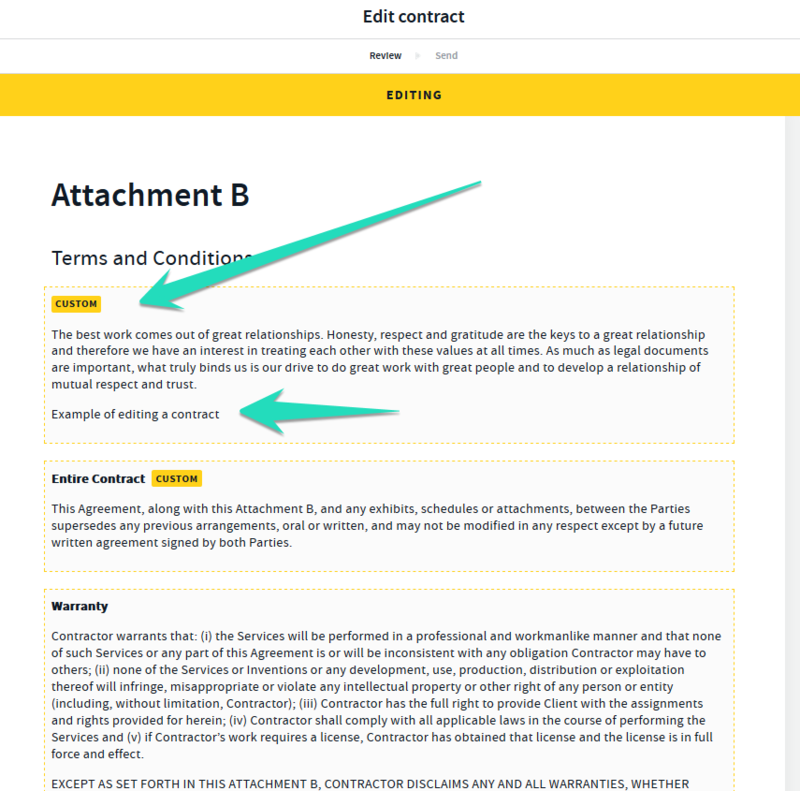 Once you have saved your edits/changes you will see that the section will highlight the edited field as "custom" so you know which sections have been edited. 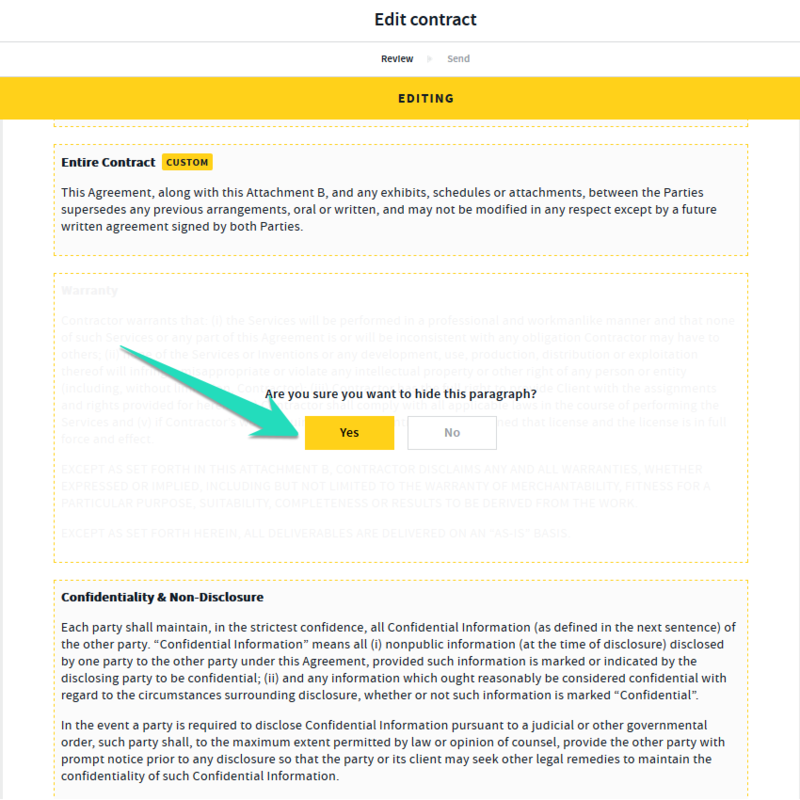 Once you have selected the Hide option the section will be hidden. 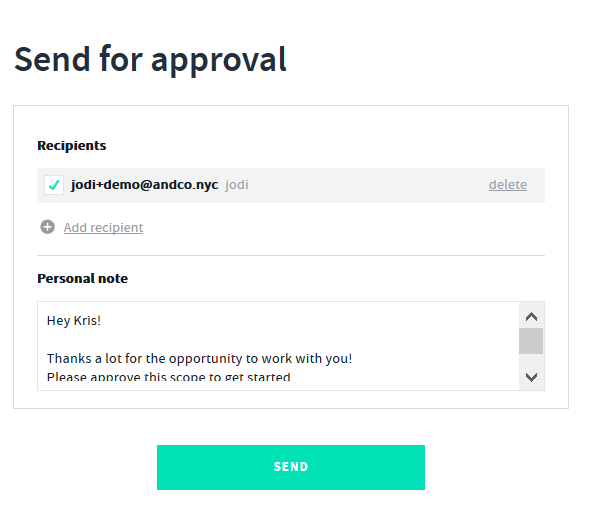 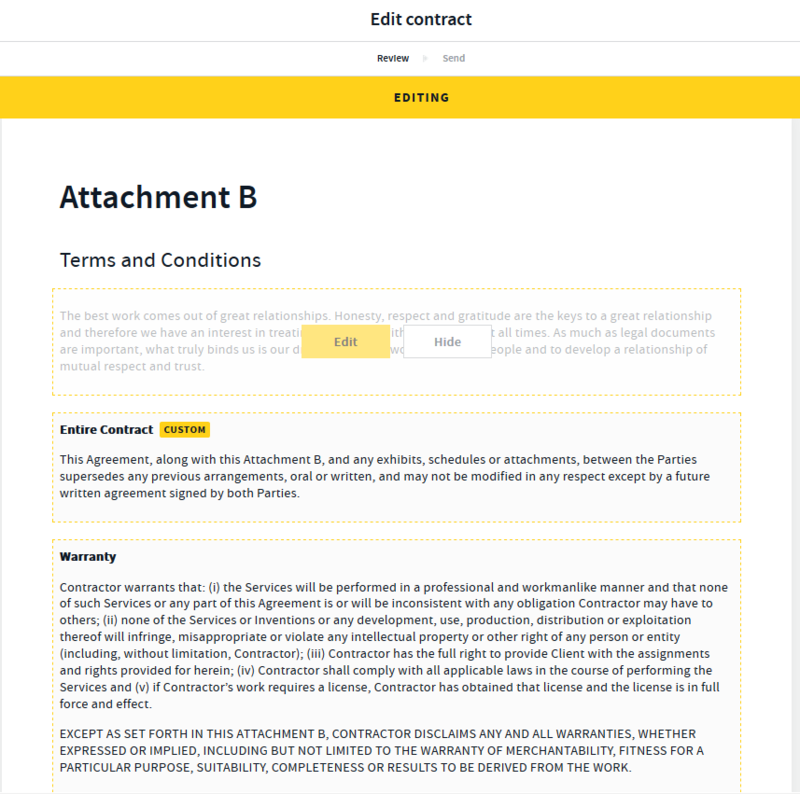 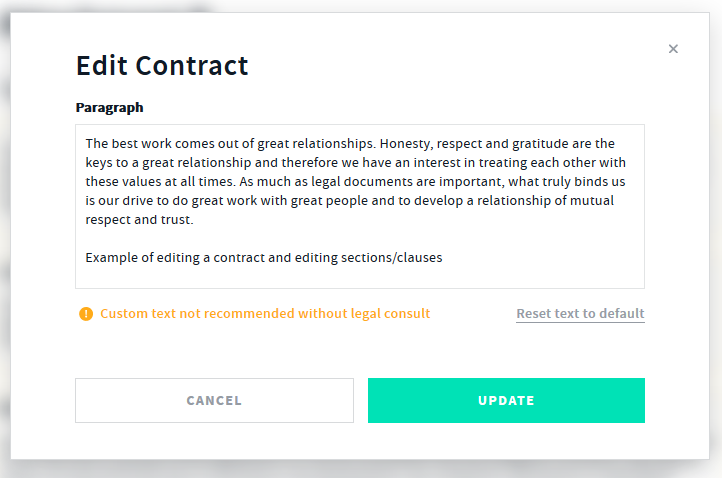 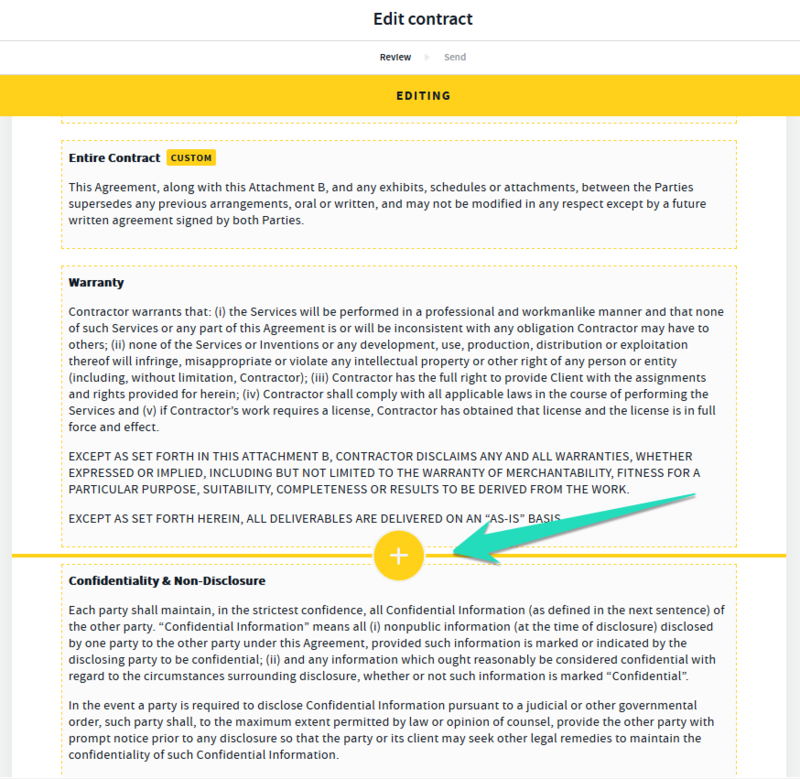 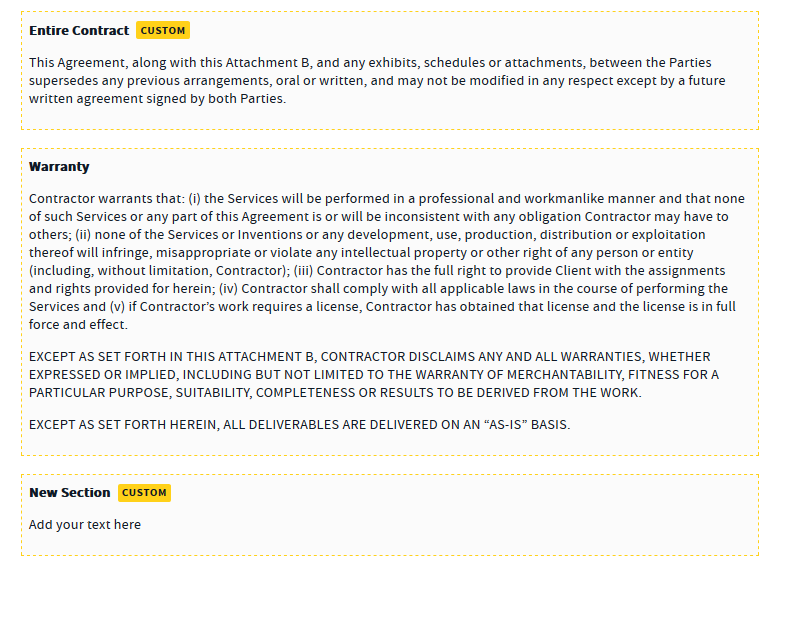 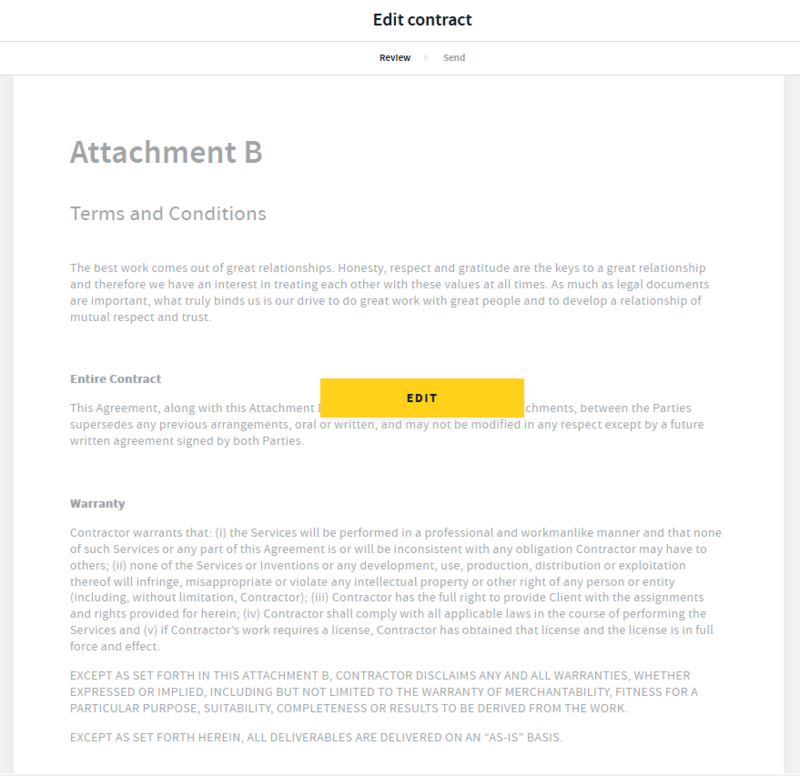 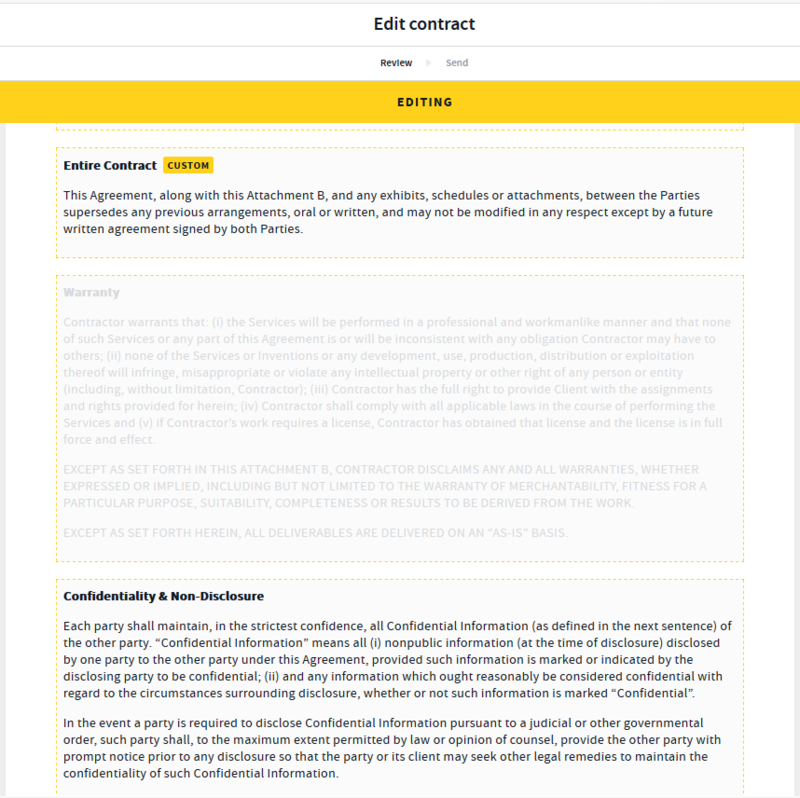 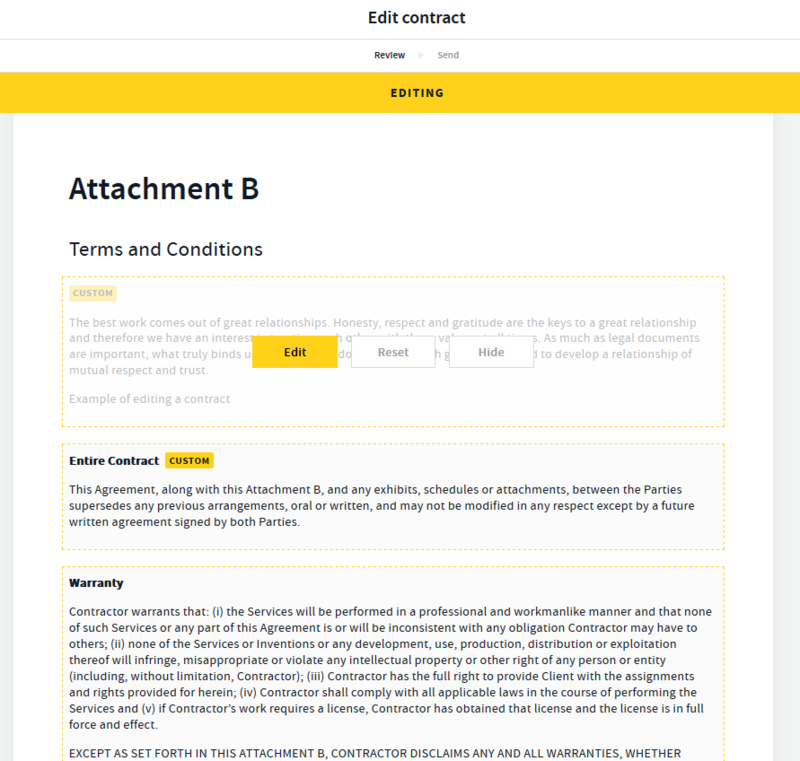 Once you have made your required edits and customizations you can send the contract to your client for approval by selecting Next > signing it and selecting Send.